Holiday cottage in quiet location with parking, gardens, Wi Fi. This comfortable apartment which sleeps 2 is situated in one of the most attractive and interesting small market towns in Cornwall. The parking area for guests car is alongside the apartment on a private driveway. There are steps down to a gravel courtyard with seating and a table for outdoor dining. During the summer there is always a fabulous display of colourful plants to enjoy. On entering the property, there is a large entrance hall with space for shoes, coats etc. The key safe is to the left of the apartment door. On entering the apartment, the bedroom and ensuite are to your left. If you continue along the hallway, you will reach the lounge area with a comfy leather sofa. There is a TV,DVD player, music system and a wide selection of books, including fiction, guide books of the local area and some local history books. The kitchen area has a washing machine/tumble dryer, electric ceramic hob, electric oven, cooker hood/extractor fan, work tops, fridge/freezer. There are high and low level kitchen cupboards containing utensils and space to store your food. This room is light and airy with a dining table and chairs which looks out onto the top garden. This garden has another set of outdoor seating and a table. On a summers day, it is a popular hideaway for guests to enjoy. The apartment is well equipped. Bed linen, towels and beach towels are provided. Electricity and heating are included in the rent. There is Parking for 1 vehicle. We do not allow sports equipment, surf boards, wet suits etc in the apartment. Thank you. I have run Driftwood apartment for over 10 years and I am passionate about ensuring that our accommodation is well equipped and welcoming for holidaymakers to enjoy. We are delighted to welcome many guests back year after year. The Cornish coastline is spectacular with impressive beaches, quaint fishing harbours and history around every corner. Lostwithiel was the home of my Grand parents and their parents before them... It is a very special place to me with an enviable community spirit. The river Fowey winds its way through the town and there are many countryside walks nearby and interesting shops in the town. Driftwood apartment has the advantage over many holiday properties in Lostwithiel in that it has its own private parking alongside the apartment. So much easier after a long day exploring the fabulous coastline to be able to park up outside your own front door and unpack the car. Being situated on the edge of Lostwithiel, the apartment has the benefit of being in a quiet location yet, it is only a short walk down to the river and shops. Fully glazed shower enclosure,large mirror, heated towel rail,extractor fan. towels and bath mats provided. Clothes line provided in the garden as well for drying laundry outside. Bath towels and hand towels provided. Leather sofa,Wall unit with TV,Stereo/IPOD player, CD player, DVD's, books, magazines and local information. Fully equipped for 2 guests. A range of DVD's available for guests. Local information, walks guides, and fiction. Courtyard with seating and table for 2. There is also a private garden with seating and table. Clothes drying line and pegs provided. We are sorry that the doorways are not wide enough to accommodate wheelchairs. For guests staying for 2 weeks, I provide a cleaning service, clean bed linen and towels (free of charge) half way through their stay. Only a brief stay of two nights. Accommodation was pleasant and very comfortable..
Would definitely recommend. Jan has thought of everything to make your stay as comfortable as possible - a home from home. Everything you need and a very comfortable king sized bed. Lostwithiel is a lovely quiet town with a supermarket that has everything and some good eating places. The food at the Globe Inn was best meal out we've had in ages. The Chinese Takeaway and Fish and Chip shop were also very good. We also enjoyed a massive pizza at Calogero's. It is also a great base for exploring Cornwall - we visited lovely fishing villages and beaches on both the north and south coasts and also the Eden Project is worth a visit. I stayed with my partner at Driftwood Cottage over New Year and would highly recommend it for anyone visiting Lostwithiel or wanting a base from which to explore Cornwall. We had a great time and were well looked after in this very nicely presented house. Plus there is parking which is a real bonus. I have no hesitation in recommending it. Peaceful and relaxing Lostwithwiel retreat. We enjoyed the peace and quiet of the location as well as the clean and comfortable accommodation. On arrival we were welcomed by a lovely hamper and a cream tea. The cottage is within a walking distance of the shops and restaurants. There are some pleasant walks around, so you don't need the car all the time. The cottage is well equipped with all the essentials for self-catering; a well-stocked local co-op shop has everything you need. We visited some amazing places outside Lostwithiel on foot and by car. Eden Project, Lost Gardens of Heligan, Lanhydrock, Mevagissy, Fowey, Charlestown and Polperro are just a few we would recommend. We thoroughly enjoyed our stay and would be happy to return. 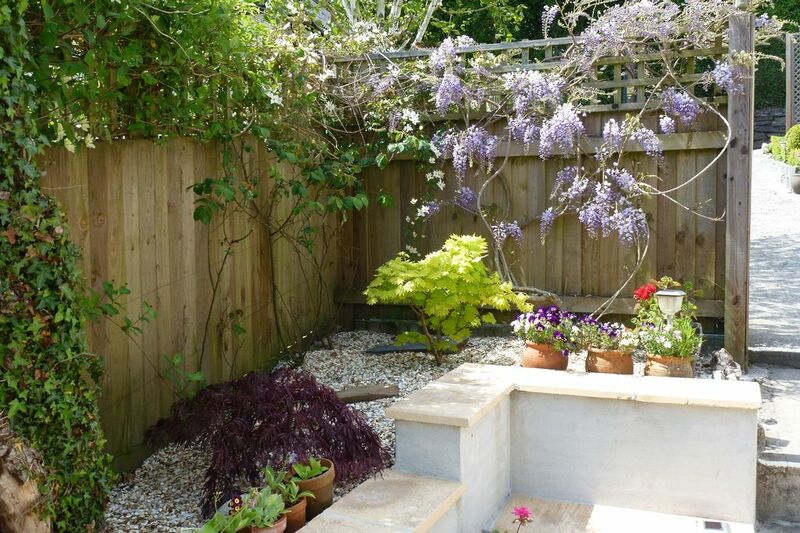 A lovely property, immaculate, peaceful and very welcoming. The property has everything you need for a Fantastic stay with really great hosts. It's immaculate throughout, very peaceful and quiet. We had a superb 5 days and would definitely recommend this great little gem to anyone wishing to explore beautiful Cornwall. A big thank you to Jan and Steve for ensuring our stay was perfect. Very nice clean. Everything we need is provided. Lostwithiel is situated in a valley. The River Fowey winds it's way through the historic market town and on through Coulson park to the moors and nature reserve. The attractive town has a variety of independant shops, a medieval church and the Duchy Palace. There are traditional old pubs and a variety of coffee shops, tea rooms and restaurants within walking distance of the apartment. Easy access to A30 and the North and South coasts. Beaches are 15 minutes away by car and Eden Project is 10 minutes by car. No smoking. No pets. Check in after 4pm. Checkout no later than 10am. We recommend that you take out holiday insurance in case you need to cancel your holiday.